We love referrals and now you will too. C.A.R.S. 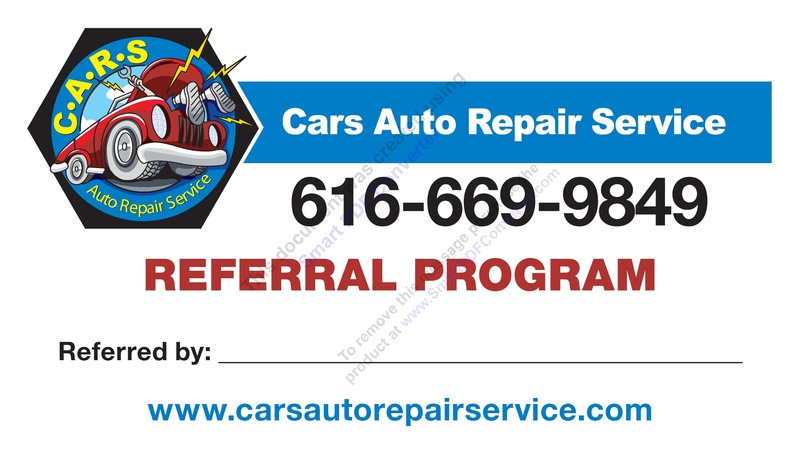 is offering its valued customers an opportunity to receive a 20-DOLLAR Credit per-referral for a new customer that spends $100 or more with a car repair. Ask how you can take advantage of this great deal with C.A.R.S. Auto Repair Service.